Enjoy FREE bus service for baseball and soccer home games. It’s Game on in The District! 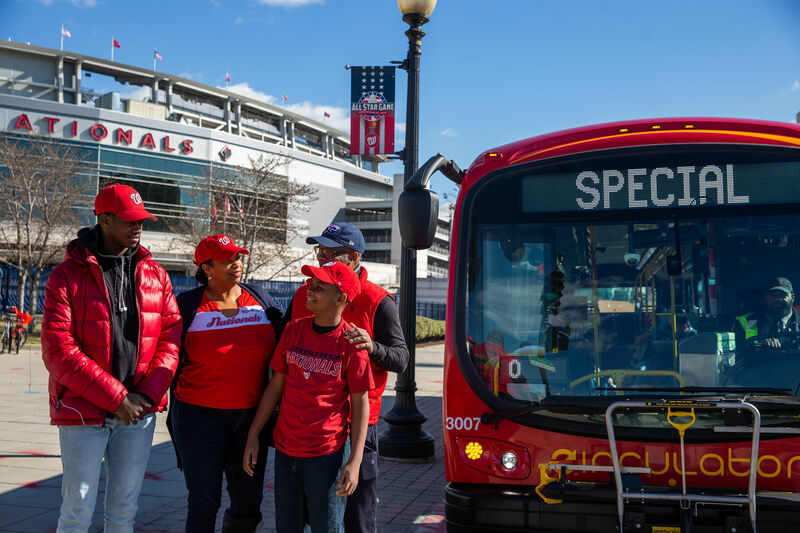 When you’re in need of easy, affordable transportation to D.C. United or Washington Nationals home games, the DC Circulator steps up to the plate with extended bus service in the area. Experience the added convenience on the Eastern Market – L’Enfant Plaza route with late-night service near Nationals Stadium and Audi Field for all baseball and soccer home games. Score big with FREE rides and multiple transportation connections that make being a DC sports fan better than ever. 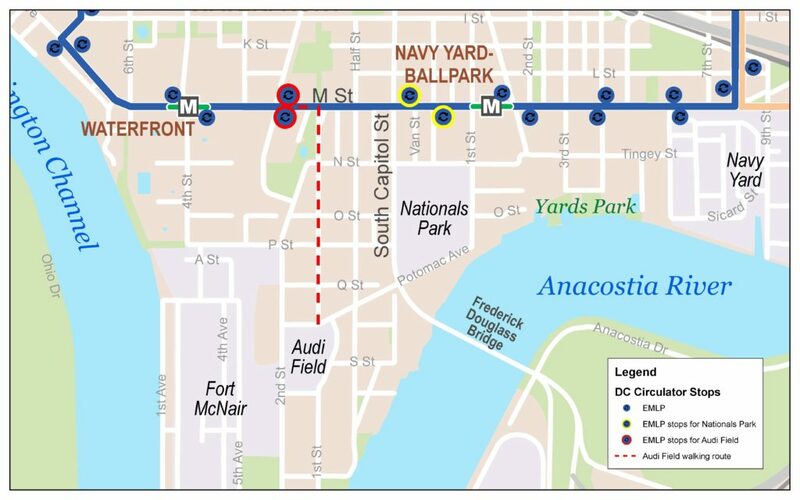 The Eastern Market – L’Enfant Plaza route provides access to Nationals Stadium via M St. & Half St. SE. Service hours on this route extend until midnight for all Washington Nationals home games beginning 6 pm or later, Monday through Saturday. For Sunday home games, this route runs 11 am to 9 pm. The Eastern Market – L’Enfant Plaza route provides access to Audi Field via M St. and Deleware Ave SW. Service hours on this route extend until 11 pm for all games at Audi Field that start at 7 pm or later. The bus stop provides for just a short walk down 1st St. SW. to enter the arena. Eastern Market – Connect to Orange, Blue and Silver lines at the top of the escalators at Eastern Market Metrorail Station (Pennsylvania Ave. & 8th St. SE). Or catch the Congress Heights – Union Station Circulator route to connect to the Red line, Marc Train and VRE. (CHUS Circulator route does not run extended hours on game day). Know when to go with the game day bus service calendar below. 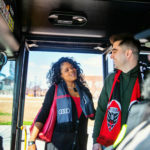 DC Circulator reserves the right to make any necessary service adjustments based on changes to the Washington Nationals or D.C. United game schedule. All service announcements will be posted on the DC Circulator website and Twitter.